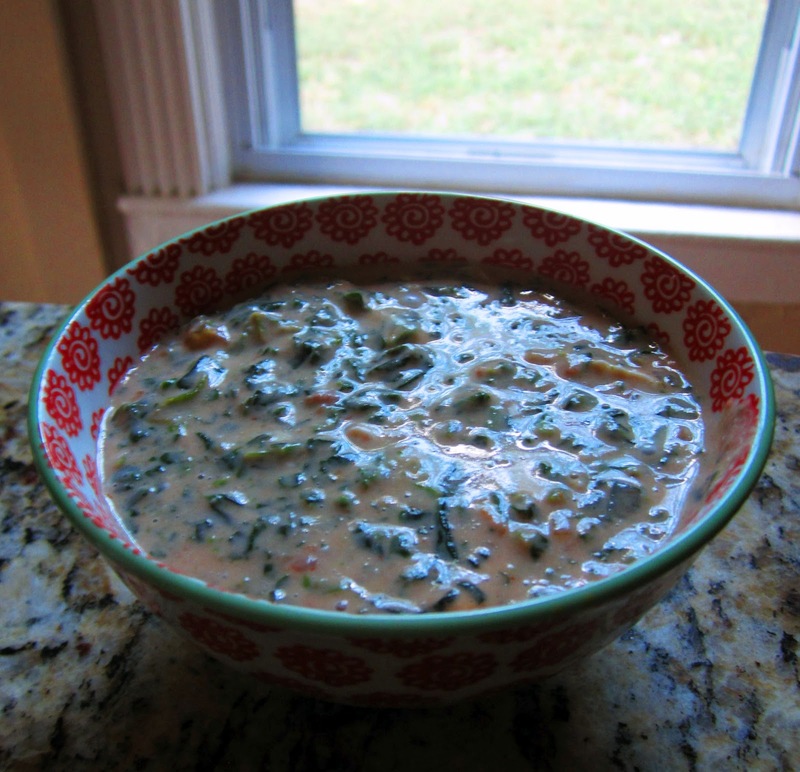 Beth's Super Awesome Blog: Spinach Queso Dip - YUM!! Spinach Queso Dip - YUM!! Yesterday I went through a bit of lady-pain-and-suffering (more about it on Chickpeas & Hulahoops here), so I decided that I wanted some cheesy OOZY goodness in my tummy to ease the pain. ... it was DEE. LICIOUS. 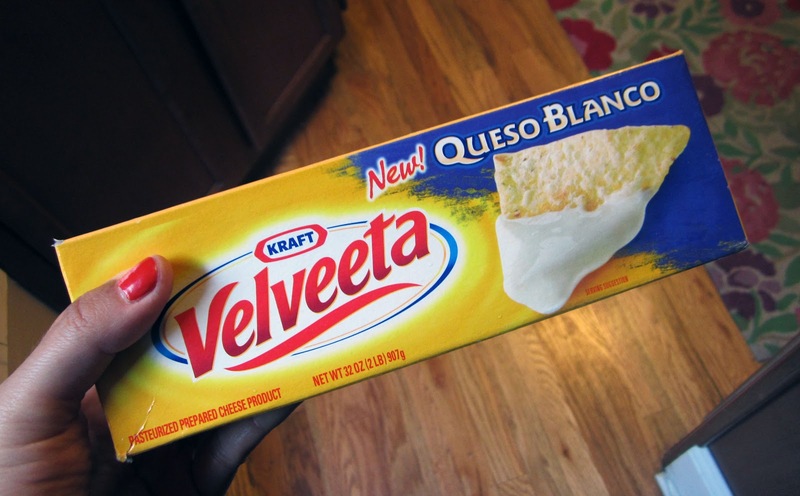 While I was at the store getting the ingredients, I found that Velveeta now makes a Queso Blanco version which I figured would be PERFECT in this recipe (and it totally was). I also felt ridiculously guilty about buying the demon of all processed cheeses, so I tried to compensate by getting all of the other ingredients organic. John thought it was hilarious. Anyhoodle, here is my adaptation of that ridiculously good recipe!! I kept it pretty true to form (with no added seasonings of my own), as it was GREAT just as it is. Yeahhhh - that's the stuff! Haha! Serves a decent amount - probably 10-20 people if you're making it for a party! Combine all ingredients (except chips) in a large pot over medium heat (cover with lid). 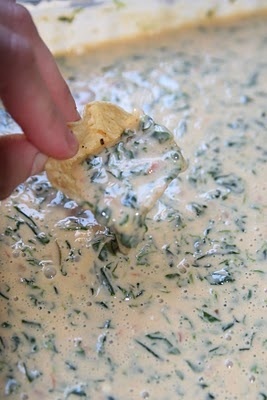 Mix well, and once it's all melty and gooey and awesome - serve with tortilla chips! YUM! This was crazy easy, and I think I ate about 4 bowls of it. Probably not the best idea, but hey, there's spinach in there! I'm getting SOME nutrition. Haha! It was SOOOO GOOOD. America the Beautiful - great documentary! Vegan Tofu Jerky - Camping Food! Spending Fast Update - 7 months down, 5 to go!